Check out what’s happening in Clackamas Libraries! DO YOU KNOW SOMEONE IN CLACKAMAS COUNTY WHO WOULD MAKE A GREAT MASTER RECYCLER? WHEN: Eight consecutive Wednesdays at 6:00 - 9:00 p.m. Starting April 3, 2019 and two Saturdays 8:00 am - 2:00 pm April 13 and May 4. 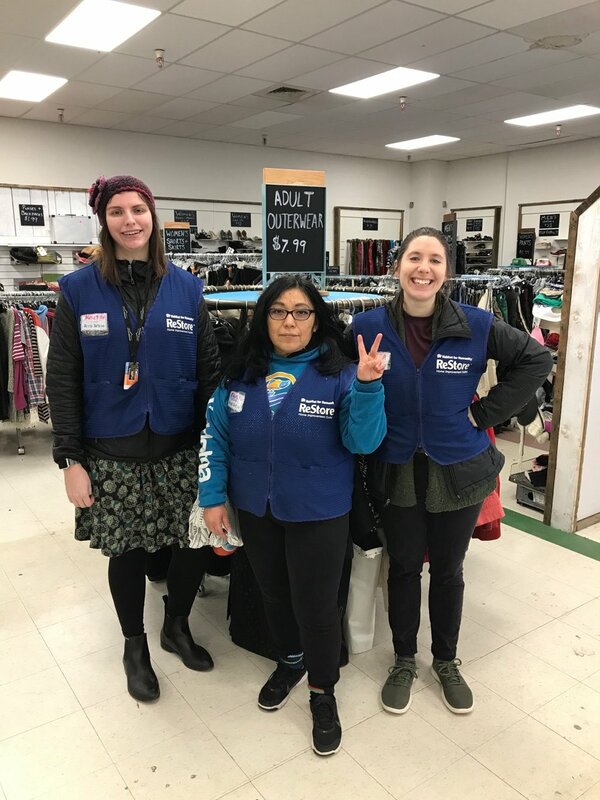 Portland Master Recyclers can take advantage of the City’s Community Collection Events program to help cleanup, recycle, swap and reuse happen in your community. A sincere thank you to Lisa Clifton (Class 40) for reporting more than 500 hours. This is a big deal: only 10 people are Quincenturions. Lisa has made her hours count too. Lisa started off her Master Recycler journey by joining fellow Master Recyclers in Lake Oswego. The group of four women that called themselves LOTT (Lake Oswego Trash Team) set up creative tables at the Farmer’s Market and worked with the City to add recycling at community events. Lisa also supported County efforts to talk with local businesses about recycling and go door-to-door in multifamily communities. Lisa also does so much in her current community, supporting the Robinwood Community Center, organizing a community garden, leading regular West Linn Repair Fairs and Styrofoam collection events. She also worked in the past to improve green practices in West Linn by being on the Sustainability Advisory Council. The City of West Linn so appreciated her efforts that they offered her an award. Those who know Lisa, understand that she loves her community and the planet -and it shows that she enjoys this work immensely. Thank you, Lisa! We are celebrating the Certification and great work of five Master Recyclers this month. 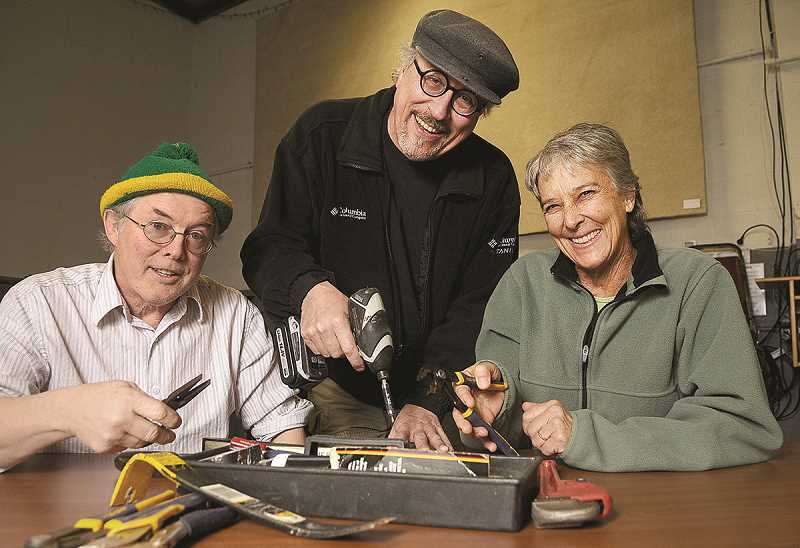 Kathleen Caldwell (Class 66) sewed her way into Certification as a fixer at eight repair fairs in Hillsboro, Cedar Mill, Forest Grove and even made it to the other side of the region in Happy Valley. Repair Fair Fixers are the heartbeat of the repair movement. They help folks learn basic skills and return their perfectly good stuff back to working order. Kathleen has definitely caught the repair fever! Adriana Moran (Class 66) volunteered at the Back to School and Santa Day events at Corazón Clinic and Dia del Niño at Centro Cultural. She also joined in the community efforts of PlanetCon 2018 and 2019 and the Forrest Grove Repair Fair. ¡Gracias, Adriana por todo lo que haces! Stephanie Mandis Minshall (Class 69) is the first of her class to become an officially Certified Master Recycler! Since class ended in October, Stephanie joined the Westside Master Recyclers in planning the PlanetCon 2019 that takes place on January 12. She also engaged folks on food waste, recycling and holiday wrapping at the Forest Grove Farmers' Market. She topped her 30 hours at Zoo Lights with a fun display on alternative gift wrap (including Grinch socks used as a wine bag!). Kristen Purdy (Class 69) since her graduation in October. She is helping the Rockwood Station Apartment Clothes Closet connect with the RestorePDX, she is also working with FREE GEEK to offer a series of sustainability workshops. She has also worked with the City of Gresham to hand out hundreds of recycling bags and answer recycling questions at several multifamily communities. Kimberly Rolfs (Class 69) did a lot of connecting with her own community for her ‘payback’ hours. From helping her gym (MAC Club) find a home for old tennis ball containers, to talking with her neighbors, family and friends about the 3 R's. 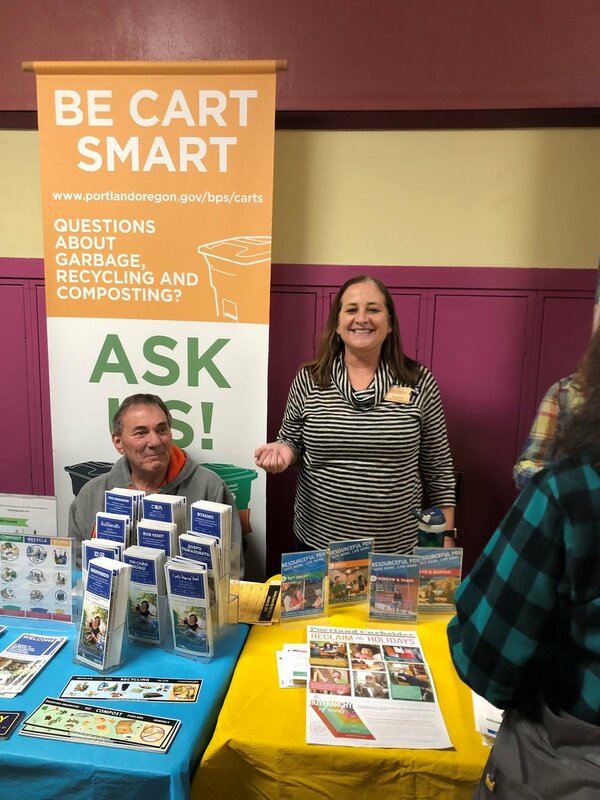 She staffed a Resourceful PDX table at the Zero Waste Conference, gave tips on food waste prevention at the November Fix-it Fair and joined in the HUGE recycling collection event called PlanetCon. Join In. Make a Difference. Have Fun!